After the Christmas and New Year Holidays, the National Santa Cecilia Academy resumed its symphonic season on 10 January 2019. The concert had been planned under the baton of Yuri Temirkanov — 'honorary' principal conductor of the symphony orchestra — but he had to cancel suddenly. Daniele Gatti stepped in almost at the last minute. He was musical director of the orchestra from 1992 until 1997. 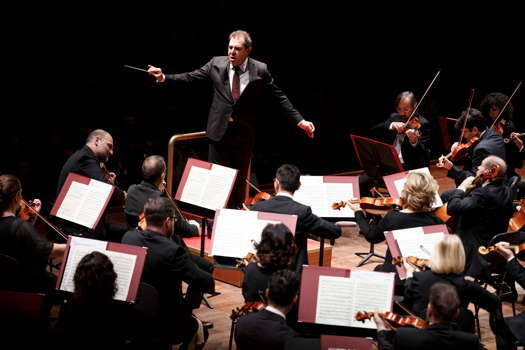 The orchestra knows the precise, elegant and sophisticated touch of Gatti. There is a great feeling between the players and the conductor as well as between Gatti and the symphonic season's long-time subscribers. At the eleventh hour, the program had to have a slight change: Mahler's Symphony No 4 remained as the center piece of the concert, but it was preceded not by Haydn's Symphony No 104, 'London', but by Wagner's Siegfried Idyll. 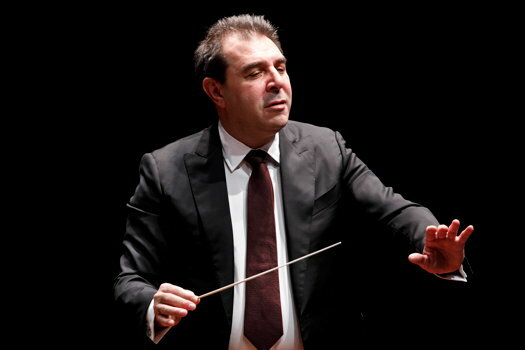 Gatti conducted without a score because he knows both pieces inside-out by heart. As the Idyll is rather short, the two pieces were played without intermission, but with a short pause to allow an increase in the number of instrumentalists on stage. This made for a very cohesive program. Both Wagner's Idyll and Mahler's Symphony are reflections on peaceful moments in these two composers' tormented lives, even though in both scores there are echoes of dramatic periods. Wagner conceived the Idyll as a Christmas present to his wife Cosima, and also as an occasion to celebrate the birth of their boy, Siegfried. The first performance was on 25 December 1870 by a chamber ensemble on the staircase of the Tribschen Villa in Switzerland where the Wagner family was living at the time. It is generally considered to be a tone poem, but I would rather catalogue it as a capriccio, due to its free form. Now it is generally played by a medium size symphony orchestra. It is like an elegant lace of sophisticated themes, some based on the Ring cycle, especially the opera Siegfried which Wagner was working on at that time. Normally, the playing time is twenty minutes, but Gatti slowed the tempos and emphasized the dramatic moments. The pleasure of listening lasted twenty five minutes and was followed by very warm applause during the short pause when the orchestra was expanded to Mahlerian size. The evening's main piece was Mahler's Symphony No 4, one of the most frequently performed Mahler symphonies. In this magazine, some time ago, I reviewed a Santa Cecilia performance under Myung-Whun Chung — 'A Musical Homecoming', 14 May 2015. As is well-known, this symphony has the title Das himmelische Leben (The Celestial Life); this is, in fact, the title of the lied sung by the soprano in the fourth and last movement. Mahler had planned to include this song in Symphony No 3, but this previous symphony grew too long (one-hundred-and-five minutes). In effect, this symphony falls in between the pantheistic and monumental third symphony and the tragic fifth symphony, which starts with a freezing funeral march. It is a transition symphony where the bucolic peace of the Celestial Life is both described and longed for. Although Mahler had converted to the Roman Catholic Church in 1897 with great ostentation — only a means to become the General Director of the Vienna State Opera House — there is nothing religious in the Celestial Life mentioned in the song; it is merely a vision of the peaceful Bavarian Alps or of the Austrian countryside. The symphony is very introspective, especially when compared with Symphony No 3, based on the awakening of nature and landscape in Springtime. Within this context, soprano Rachel Harnisch was just perfect. I was in row 12 seat 35 and could enjoy every note of the lied very well. I believe that also, in the back rows of the upper tier of the enormous three-thousand-seat Santa Cecilia auditorium, the audience could appreciate her delicate singing because they exploded into applause when Harnisch, Gatti and the orchestra came for the curtain calls. As in Siegfried Idyll, Gatti slowed the tempos and underscored the drama in the second movement. This made the symphony quite languid and romantic.